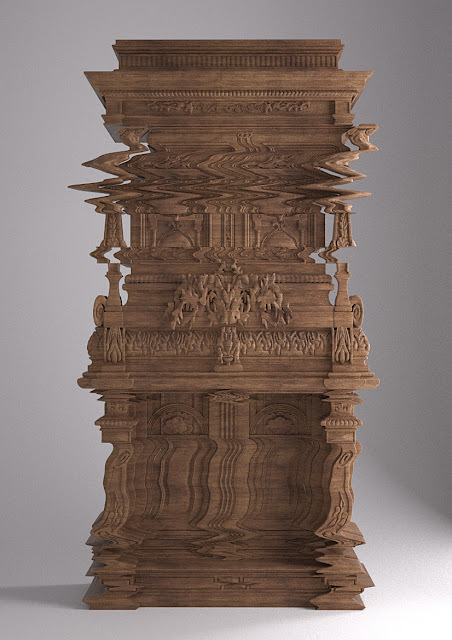 This isn't an optical illusion; instead, the distorted shape of this cabinet is a preview of the new collection by Italian designer Ferruccio Laviani for furniture brand Fratelli Boffi, which will be presented during the upcoming Salone del Mobile in Milan. The Good Vibrations cabinet has been carved from oak by a CNC machine. 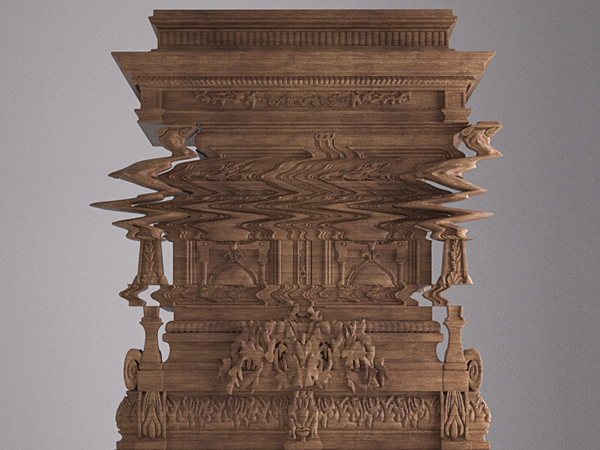 This piece exemplifies the designer's philosophy: fantasy mixed with classical references and contemporary irony. For more glitch-inspired designs, see our macro trends N.D.A. and Rendering Reality.